HEY MA il nuovo singolo PITBULL & J BALVIN E’ IL NUOVO SINGOLO CON LE SUPERSTAR MONDIALI PITBULL & J BALVIN FEAT. 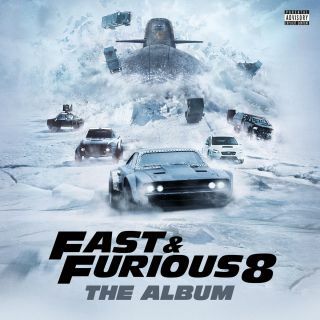 CAMILA CABELLO CHE FA SEGUITO AGLI ALTRI BRANI “GOOD LIFE” DI G-EAZY & KEHLANI E “GO OFF” LIL UZI VERT, QUAVO AND TRAVIS SCOTT GIA’ DISPONIBILI IN PREORDER CONTENUTI NELLA COLONNA SONORA FAST & FURIOUS 8. HEY MA il nuovo singolo PITBULL & J BALVIN – LA RACCOLTA CONTIENE IL MEGLIO DEGLI ARTISTI RAP PIU’ CALDI DEL MOMENTO E NUOVI BRANI DI JEREMIH, TY DOLLA $IGN & SAGE THE GEMINI; YOUNG THUG, 2 CHAINZ, WIZ KHALIFA & PNB ROCK;E PNB ROCK, KODAK BLACK & A BOOGIE WIT DA HOODIE IL FILM SARA’ NELLE SALE CINEMATOGRAFICHE ITALIANE DA GIOVEDI’ 13 APRILE. L’ALBUM USCIRA’ VENERDI’ 14 APRILE.